Sat. 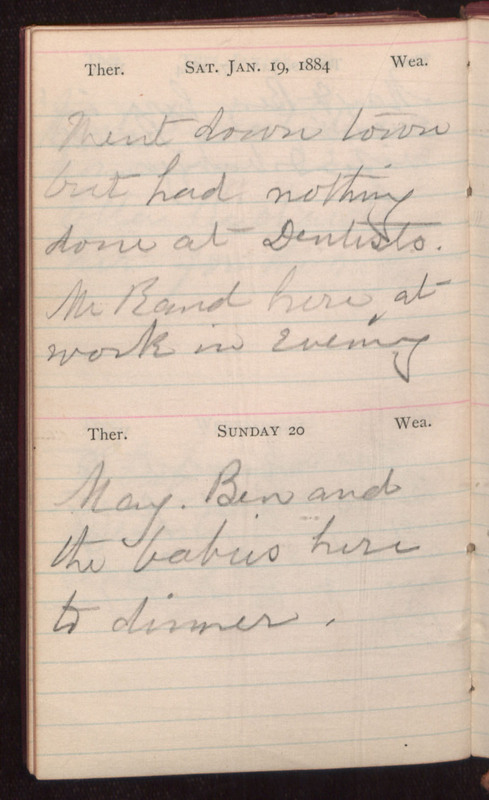 Jan. 19, 1884 Went down town but had nothing done at Dentists. Mr. Band here at work in evening Sunday 20 May. Ben and the babies here to dinner.